Hovea beekeeper Peter Detchon said the Flow Hive represented a paradigm change in beekeeping and had the potential to attract newcomers to a declining industry. “The Flow Hive, which allows beekeepers to harvest honey without disturbing the bees, created a buzz all over the world when a crowdfunding campaign by the inventors went viral last year,” the retired CSIRO scientific officer said. 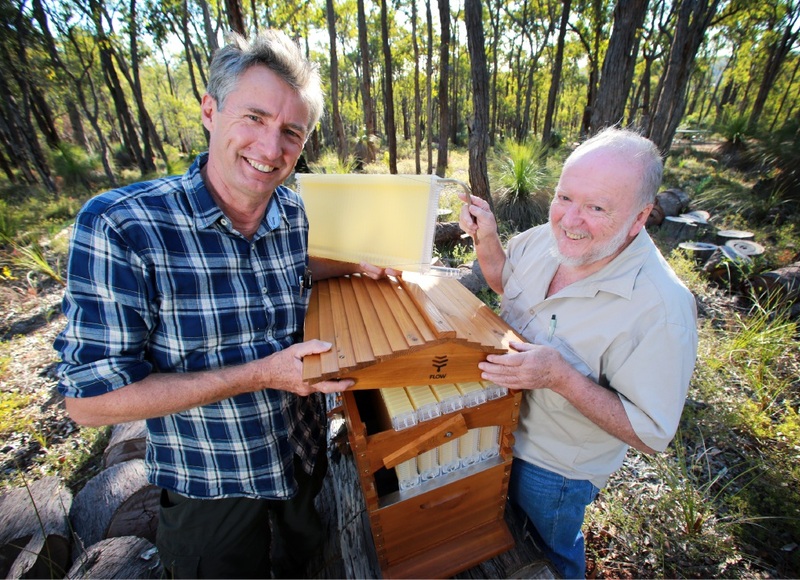 The new hive, designed by Queensland father and son Stuart and Cedar Anderson last year, will be on show at Perth Hills Discovery Centre in Mundaring from 10am to 4pm. Co-inventor Stuart Anderson will share his inspiration and knowledge with WA ‘beeks’ at a field day organised by the West Australian Beekeeping Association (WABA). “It will also be a wonderful opportunity for Flow Hive beekeepers in WA to ask me any questions they might have,” Mr Anderson said. As well as the Flow Hive components, the event will offer an introduction to beekeeping for people new to the hobby. There will be sessions for more advanced hobbyists and commercial operators, including demonstrations. Information will also be available on alternative hive designs and honey-extraction methods, beekeeping supplies and bee-friendly gardening. Art and craft activities will be on offer to children, along with entertainment from Spanish and Russian guitar maestro Krzysztof Piotrowicz.